I'm a cartoonist, this means I make comics and sequential art and I really love sharing them with you guys. I do a mix of digital and traditional work, this includes methods like inking with a brush and nib, colouring with water colours, markers, or digitally and even doing pages entirely in coloured pencils! I currently do a weekly water colour comic that updates every Monday. This comic is an exercise in "minimalist whimsy" with melancholic undertones. Each week's comic is inspired by two first word impressions based on that comic's water colour base, these words are all provided almost exclusively by my patrons so if you do pledge to me, you too will have a chance to be a part of this great project! I'm also working on a project called Esterwilde, it's an ongoing comic about a small sea town and its inhabitants that spans across history. On top of these two I have a number of short comics available to read and will occasionally add to this collection as well! 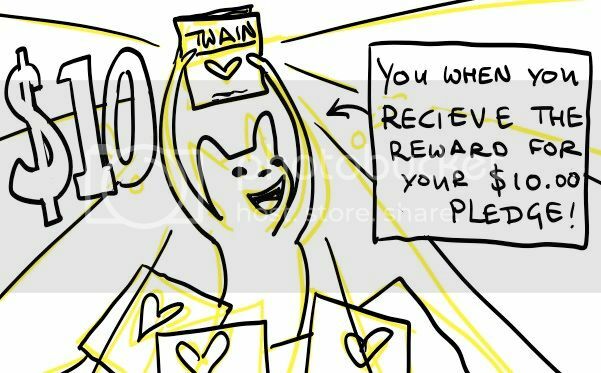 If you enjoy my work and you want to help keep an artist happy then you know what to do! 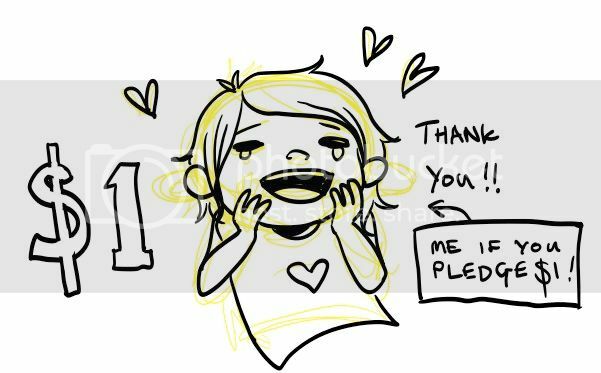 Your support will help to keep me fed and watered and will hopefully even give me a means to pay rent on top of buying paper and ink so that I can continue making the art and comics that you guys love. If you are unable to donate, don't worry, you can help out just by leaving a comment on your favourite piece or by sharing this page with your friends and anyone else who might be interested! Whatever you choose to do, thank you, and thanks for reading! All my love to you. My comics will still be available to everyone whether you choose to help me out with funding or not. 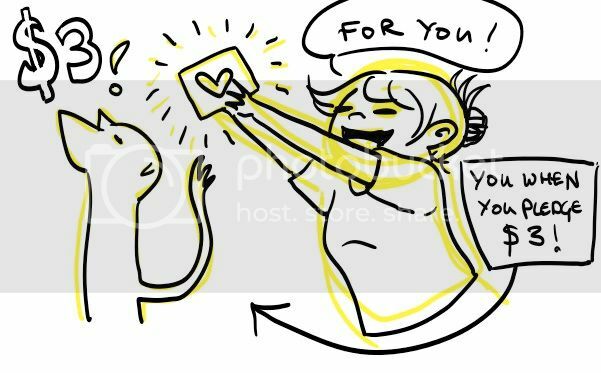 But If you do choose to help out not only will you be able to read the content that is available to everyone, you will also receive exclusive content such as prep sketches, early release comics, and other specially created art just for you! - If the number of page updates exceed your budget, don't worry, you can set a monthly maximum when you sign up! I know you all love little extra's and while I do have badges and prints available currently I'd love to be able to offer some more up to date versions of those and maybe other things (Like tea towels and hoodies and anything you can think of! I'll try not to go too crazy with it you know?) So if I reach this goal I'll definitely be doing up some tea towel designs and maybe some new badges and clothes designs that I'd like to get printed. I'll probably ask you guys what you'd be interested in and we can work out what your ideal merchandise will be, and then I SHALL MAKE IT AVAILABLE FOR ALL OF YOU!!! Awesome!